1. Defrost the snow fish for approximately 3 minutes. 2. Mix soya sauce, Chinese liquor, sesame oil, ground pepper, sugar, tamarind juice and lime juice together. 3. 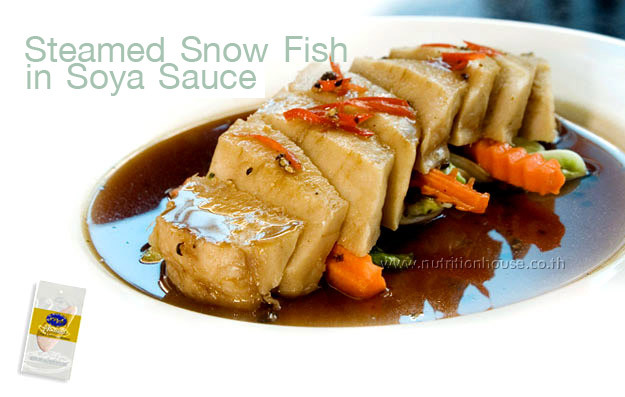 Pour the sauce over the snow fish then cook in a microwave for another 2 minutes. 1. Arrange cabbage leaves and julienne (cut into long thin strips) carrots on a serving dish. 2. Add the snow fish and top with sauce.